This past 7 days has been full of personal flying firsts. 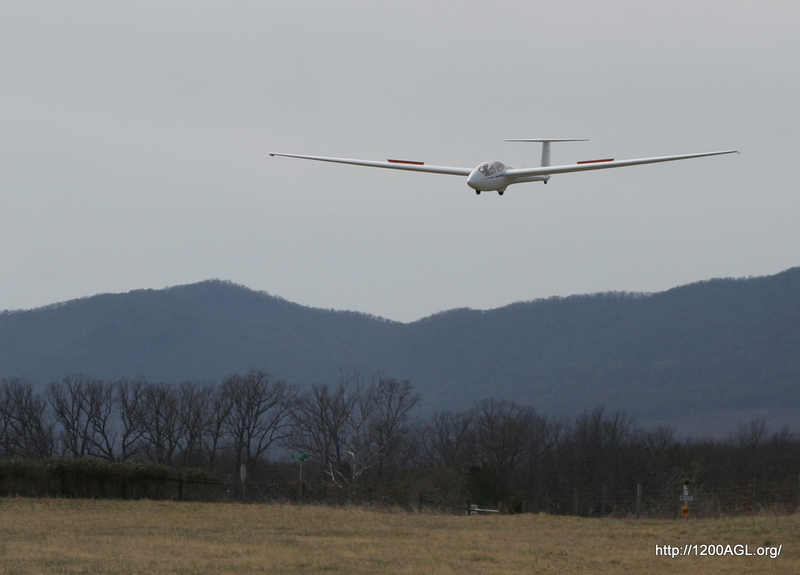 Today, I joined a local soaring club and took my first two dual glider flights. 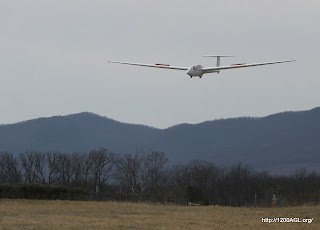 I decided that I will pursue a glider rating as the next goal. After making two flights in a glider, I am convinced that the training will sharpen my stick-and-rudder skills. Glider flying is a lot of fun, too. The visibility from a glider is impressive. From the front seat, the view is nearly unobstructed. Gliders are quiet. Only the sound of the air, the beeping of the variometer, and the occasional call on the radio is heard. Headsets are unnecessary. You won't get away with lazy feet. These things exhibit tons of adverse yaw, and lots of rudder is required. The yaw string is far preferable to the "ball" (inclinometer). Head-out-the-window flying is stressed, which will definitely break me of any tendency to fixate on instruments. Air brakes/spoilers provide a tremendous amount of drag on demand, which allows gliders to fly tight, steep approaches. Steep turns (45 degrees or so) in the traffic pattern are generally safe and recommended, unlike powered airplanes. There is minimal risk of accelerated stall, I'm told. I had a difficult time keeping the glider coordinated in turns, and I definitely overcontrolled it. Keeping in position behind the tow plane was a challenge and the instructor repeatedly had to make corrections (definitely don't want to make the tow pilot's job harder). While flying around on a search for thermals, I sensed the glider slowing down and noticed the airspeed near the top of the green arc. So I instinctively pitched into a shallow dive, and the airspeed built very quickly. This prompted a correction from the instructor. He then demonstrated a stall to show that I was nowhere near stalling, and the glider was very docile through the stall. Looks like a Grob 103. A glider rating is a good thing to have.